Golden Triangle Classic, Well Appointed 4-Br Detached. A Gracious Front Porch & Foyer Welcomes Visitors To This Arts And Crafts Style Home. Generous Sunlight Rooms Are Graced By Original Woodwork, Stained Glass Windows & A Fireplace. A Western Exposed Kitchen O/Looks Lovely Private Butterfly Garden, Large Lot Ideal For Future Addition. Located On A Quiet Tree-Lined St. Surrounded By Choice Schools, Rec Cntr, Library. Renovated Bsmt Nanny-Suite. Private Drive. Easy Access To Broadview Subway & Dvp. Ss. Fridge, Ss Stove. Bsmt Fridge & Stove (All 2017). Washer, Dryer, 2 Gas Fireplaces (2017), Fully Rewired 200 Amp Service, Esa Certificate, Cedar Linen Closet. 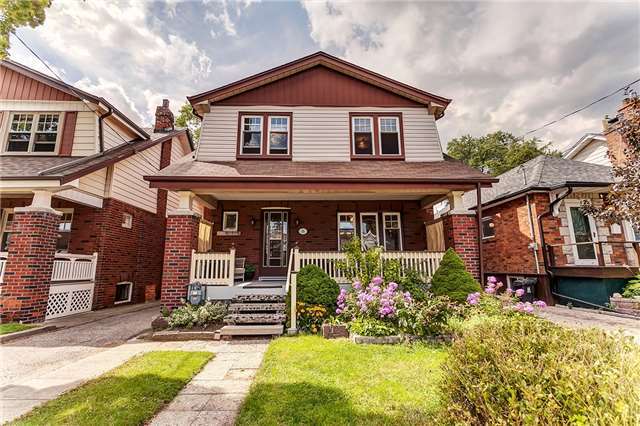 Want to learn more about 18 Chilton Rd (O'connor / Pape)? I would like to learn more about 18 Chilton Rd (O'connor / Pape).